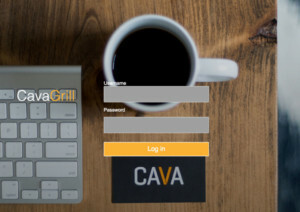 Cava is a rapidly expanding fast casual restaurant and CPG brand focusing on delivering a healthy and customized guest experience. Cava’s culinary-driven brand has fresh and better-for-you cuisine offering smart choices for each customer. Josh wanted to deliver a curated, intuitive data experience where parameters for models could be changed easily by managers. Not only did the visualization of the data need to be stunning and provide insight, it had to let Josh control access. “When I found the dashboard examples page I literally said to myself: ‘This is what I’ve been looking for.’ The customizability was truly amazing. “The other rare feature we needed in an analytic tool which RStudio helped address is the ability for a user to explore amongst multiple variables. With the packages dpylr, tidyr, and ggplot2 this process is practically seamless. We can optimize our data any way we want”. Cava appreciated that the RStudio team contributes code and creates many R packages to help make data connectivity, exploration, and manipulation very easy. Shiny, especially, provides a framework Cava’s data analysts use to create unique dashboards. People adopt new tools when they enjoy using them. Visualizations and insights compel them to come back to Cava’s new dashboards. Using R, RStudio, Shiny, and Shiny Server Pro has allowed Cava to deliver on the promised curated experience. It allows people new to the data to see a static view (the default load), while allowing the more powerful data-savvy people to explore interactively. “Our Shiny app allows people to play around with the data to create findings of their own,” says Josh.